The tradition of making sealskin boots has been around since seals inhabited the waters along the Strait of Belle Isle. For generations those who came before us participated in the hunt and the several week process of bark-tanning the skin to turn into a product. 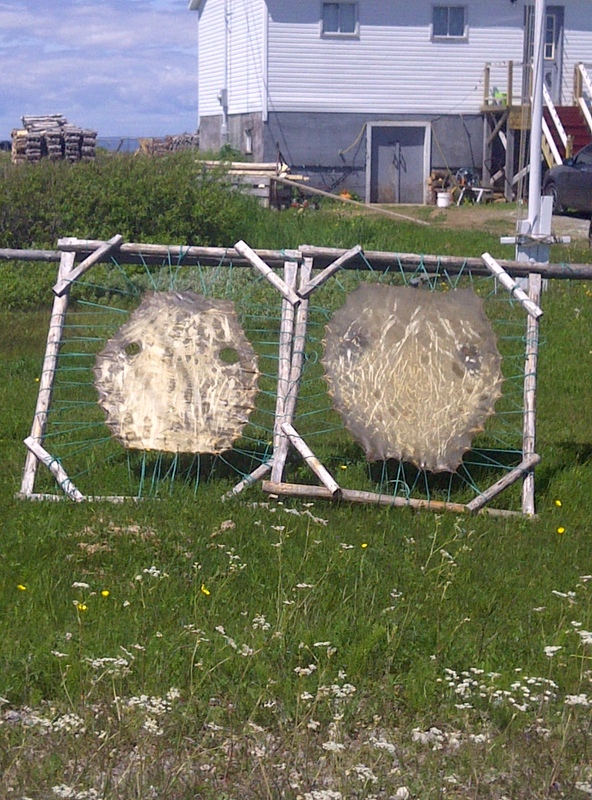 Each summer, these laced in seal skins are commonplace at the Steven’s homestead. I am quite pleased to see this tradition continue. My father knew this process and the techniques used to soak, stretch and tan. I still have a pair of his sealskin boots, in which I wear in winter. I too would like to learn the seal skin boot making process. There is a book about seal skin boot making on the Great Northern Peninsula. It is entitled out of necessity. It is available at GNP Craft Producers in Shoal Cove East (www.gnpcrafts.ca). Sabrina Lisa Fashion Design also believes in environmentally sustainable and all natural products. 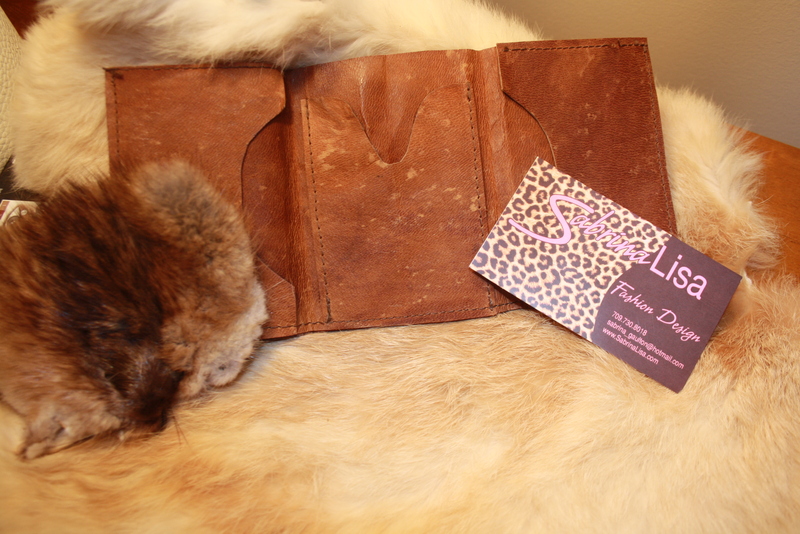 The sealskin wallet depicted below is one I use every day. It does not contain dyes, chemicals and was handmade. We should keep our traditions of the Great Northern Peninsula alive. More people should learn the process and also support entrepreneurs, craftspeople and the rural economy. We have a wealth of talented people and experiences. Posted on October 12, 2013, in Community Economic Development, Tradition and tagged Boot, Christopher Mitchelmore, Great Northern Peninsula, Newfoundland & Labrador, seal, Straits-White Bay North, The Straits White Bay North, tradition. Bookmark the permalink. Leave a comment.